It is completely normal and healthy to experience anger throughout your life. Whether it is directed at the bumper-to-bumper traffic on your way to work, or at your pet for relieving itself on the carpet, it happens. We have all experienced it, whether it be a small frustration or full on fury, and we will all experience it again. However, when you lose control to anger and it takes the reigns of your life from you, many problems arise. The inability to control your anger not only affects your relationships with your family and friends but at work as well. Without a solid grasp on your emotions, you’re perpetually one step away from an outburst at someone that doesn’t deserve it. If you’ve found yourself unable to control your anger, don’t bottle it up. Instead, get the help you need and take back control by contacting Wendy Iglehart today to begin your anger management counseling in Cockeysville today. While we understand that there is no cure-all for anger, there are a few techniques you can use to keep it at bay. As simple as it sounds, breathing deeply from your diaphragm and slowly counting to ten has been a proven method for many years. If this doesn’t seem to help, visualize yourself in a happy memory or location. Think about your favorite childhood memory or the reaction you get from your dog when stepping through the door after a long day, whatever makes you content in life. Many people also have found that listening to their favorite songs, reading their favorite books, or even participating in non-strenuous stretching has helped. While we all experience anger, deciding how you react to it is crucial. Be sure to change your environment when you feel your rage taking over and take a walk. Remind yourself that there is no need to harbor and feed the anger, for it will all work out in due time. 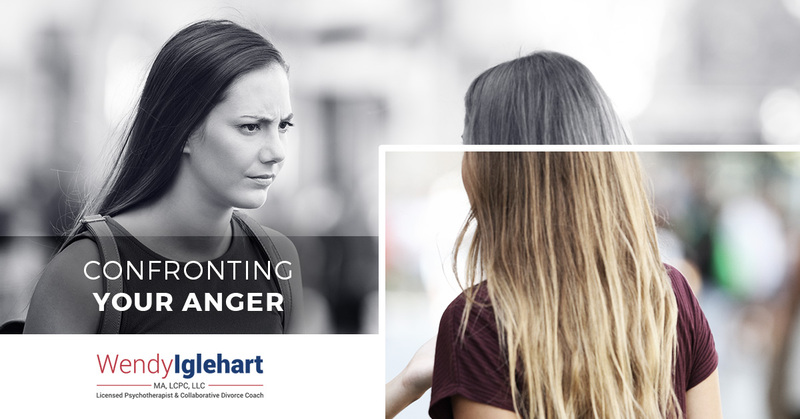 If you know that your anger has become out of control, and it is having a negative impact on your personal or work life, there is no shame in admitting that you need help. In fact, it is a huge step in the right direction to seek anger management. Remember that anger is a part of life, and there is no way to eradicate it, only be able to handle it in an appropriate way. Once you learn that you are control of your life, and your emotions, you’ll realize that how much your anger issues were affecting your day-to-day activities, and you’ll finally see the rays of sunshine finding their way through the dark clouds of anger. Wendy Iglehart knows how difficult of a time you’re having, and she’s dedicating to provide you with a safe environment in order to express the problems that you are having, and will give you the emotional support and guidance you need to make it through. Whether you need help managing your anger, depression, or anxiety or require couples or marriage counseling, Wendy Iglehart is here for you. Stop letting your emotions dictate your life and call today.